Then I played around with the new pages in my browser to check for obvious errors. I created some employees, monkeyed with their groups, then saved them, then opened up the edit screen, verified everything worked right, then monkeyed with them some more, and so forth. That probably took 5 minutes of clicking around lazilly. 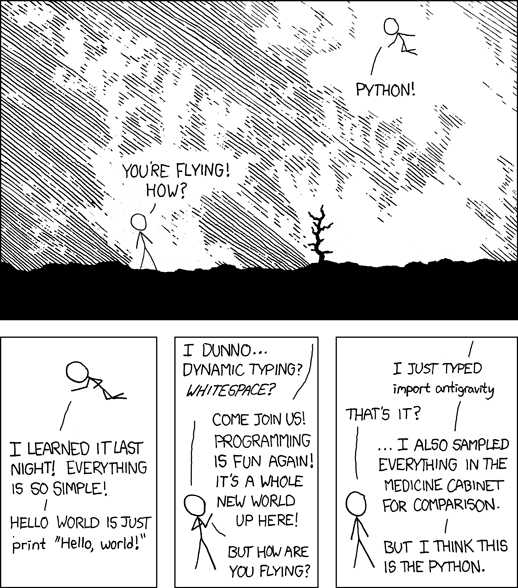 In the past, that’s when I would have committed the code to the repository and moved on to something else. I played with it, it didn’t break, so we’re done. Total dev time: 30 minutes. This time, I wrote a series of twill scripts to go through the different combinatorials of users and groups. After each creation, I verify that the page displays the data correctly and I then hit the database and make sure that everything is set correctly. For the screen that allows editing employees, the most thorough possible test would take those four new employees and loop until each has been changed to every other possible configuration. This took about another two hours by the time it was done. The next time I have to write code like this, it will be much faster because I figured out how to write code that yields tests iteratively. Using TDD, total dev time hit about 2.5 hours. So, in this particular case, is it worth it? I’m still learning how to write good tests. Writing thorough tests requires a different mindset, for me anyway. If I wait until I face some really gnarly complex code to write tests, I’m likely to write some crappy incomplete tests. Each test I write makes me faster at writing tests. Also, when I’m regularly writing tests, I write application code with testing in mind. I think more about design and protecting against what could go wrong, rather than just reaching the finish line any way I can. Time is scarce and writing tests takes time. In a time-constrained environment, writing needless tests is as silly as blowing off real work to write blogs. I’m not sure which voice in my head I will listen to on this one. Don’t put parentheses around your assert expressions and the error string! I had a bunch of unit tests that were passing even though I knew they should be failing. I traced it down to the fact that I put parentheses around my assert statements because the tests were really really long and I wanted to put the error string on a separate line. >>> assert 1 == 0, "OH NOES"
The assertion doesn’t raise because I suspect that the assert evaluates each element in the tuple separately, and the string returns True. I started out loving everything about this book. Elphaba’s (the wicked witch) childhood and youth and adolescence are a beautiful coming-of-age story about a girl coming to terms with being obviously different than everyone else (she’s bright green). Then Elphaba goes off to college, where the story just keeps getting better and better, until Elphaba and her friends go to the weird trippy night club where a bunch of really far-out stuff goes down. Then in the next chapter, we skip forward a few months, the tight clique has disintegrated, and all the characters have been permanently changed and disconnected from each other. I spent the rest of the book hoping we’d get some explanation for what happened, but we never go back. We never get any details about that night, only a few cryptic elliptical references. Instead, the story follows a monotonic downward trajectory towards an end everyone already knows is inevitable. This is a major bummer. By the end of the book, I was just glad the story was finished. Finally, almost all the interesting plot and action and characters have nothing to do with the Dorothy plot line. By the time Dorothy and the Wizard show up in any meaningful way, the book is almost finished. I suspect McGuire is a closeted fantasy writer, but ashamed of it because of his “real literature” aspirations. McGuire only transplanted his story into the Oz universe as a marketing gimmick and/or post-modern commentary. In the end, this book has a lot of the traits that make Harry Potter appealing: it reclaims the fantasy genre from the Dungeons and Dragons geek domain and the characters deal with problems that are at once alien and also very human. 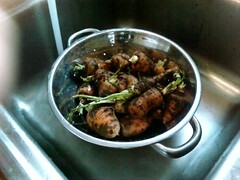 On Saturday, December 15th, I pulled up the last row of carrots from the garden. I had set up my cold frame around them about a month ago, when the snow started falling. The cold frame is really just a big wood box with heavy-duty cellophane across the top. It works like a miniature greenhouse, and it keeps the snow off my plants. So, it let the carrots grow for another month when everything else had frozen. 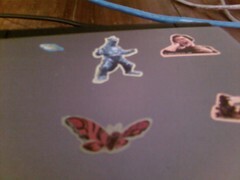 And in this picture I lined them up like little people. I set the oven to 400 degrees, sliced all the carrots into little discs, tossed them in lots of olive oil, salt, pepper, and thyme, then spread them out over a cookie sheet. Once the oven was ready, I put the cookie sheet in and set the timer for an hour. Then I went outside to shovel my driveway. 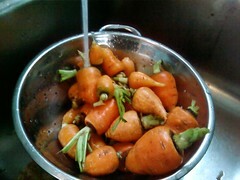 By the time I finished shoveling snow, the carrots were ready. I ate all of them while standing over the sink. They were so delicious I couldn’t stop eating in order to take any pictures. 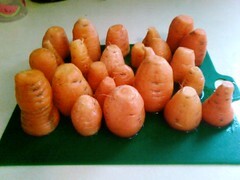 I have more gardening pictures on flickr, including a lot more carrot pics. The artist that made that also writes a brilliant blog about about Doctor Who with a very funny domain name. Anyway, the guy is clearly a long-time fan. I like how he describes all the things that he dislikes about the show. Absurd nitpick: I’m not a fan of modules that execute code on import. I would prefer that importing antigravity doesn’t automatically do anything, and if I want to use antigravity, then I have to call a function or something like that.